Ten indicators that the next major global economic crisis is imminent. The mainstream media in the United States almost entirely ignores Europe, but what is going on over there is key right now. The 9th largest economy in the world, Italy, is in the midst of yet another financial meltdown. Italian banking stocks crashed really hard this week. Italian two year bond yields are the highest that they have been since the crisis of 2014. In fact, there are fears that it could spread to other areas of the euro zone. Europe could barely handle what happened in Greece, and the Italian economy is many times its size. 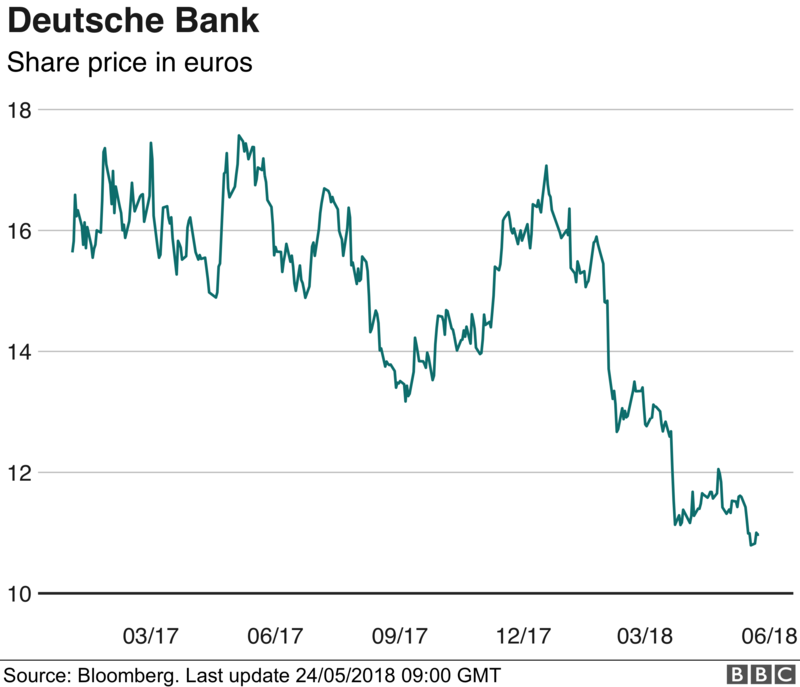 German banking giant Deutsche Bank just announced that it will be cutting another 7,000 jobs as it “seeks to turn the page on years of losses”. Many are amazed that it has survived for this long. If Deutsche Bank fails in 2018, it will essentially be a “Lehman Brothers moment for the entire planet. In the US, the “smart money” is getting out of stocks at a rate that we haven’t seen since just before the financial crisis of 2008. Moody’s is warning that a “particularly large wave” of junk bond defaults is coming. Junk bond defaults are often an early warning indicator for a major financial crisis. According to the FDIC, a closely watched category known as “assets of problem banks” more than tripled during the first quarter of 2018. What that means is that some really big banks are now officially in “problem” territory. U.S. Treasury bonds are having the worst start to a year since the Great Depression. Mortgage interest rates in the US just hit a 7 year high, and they have been rising at the fastest pace in nearly 50 years. This is going to be absolutely crippling for the real estate and housing industries. US retail industry debt defaults have hit a record high in 2018. The US is on pace for the worst year for retail store closings ever. The two largest economies on the entire globe are on the verge of starting an international trade war. Once things start unravelling in Europe, the US will be deeply affected as well. The global financial system is more interconnected than ever before, and at this point the US is even more vulnerable than it was just prior to the crisis of 2008. When this thing breaks loose, it won’t matter who is in the White House, who is in Congress or who is running the Federal Reserve, there is nothing that anyone will be able to do to stop it. Church will need to be like in the Book of Acts where believers shared their resources with those in need. Be prepared, get out of debt, and make sure you have readily available reserves.